The 2018 Spey-O-Rama results are in! Congratulations to all who competed. 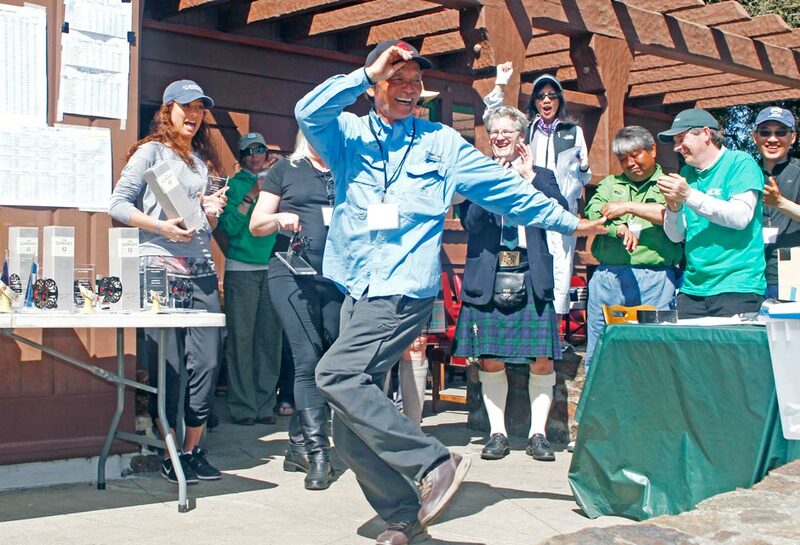 The 2018 Jimmy Green Spey-O-Rama, the world championship of Spey casting, was held at the Golden Gate Angling and Casting Club (GGACC) in San Francisco, California from Friday, April 20th to Sunday, April 22nd, 2018. During the sunny weekend an all-time record of 66 competitors participated from ten countries including Japan, South Korea, Russia, Canada, US, Ireland, Scotland, Wales, Sweden, and Norway. Ireland's Gerard Downey won the overall men's title with a four-cast total of 713 feet. Brian Styskal of Washington State was runner up at 670 feet. The competition's longest cast was owned by Gerard at of 187 feet. In third, was Oregon's Travis Johnson at 659. Montana's Whitney Gould won her sixth Spey-O-Rama women's title with a total of 525 feet and also won with the women's longest cast of 140 feet. 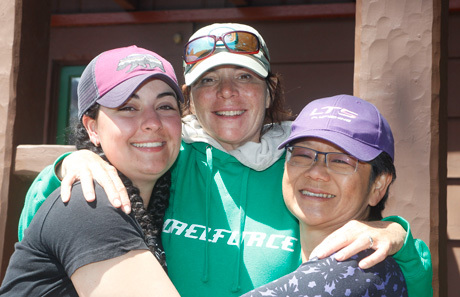 Canada's Catherine LaFlamme came in second place with a total of 500 feet, and this was her her first spey competition. Four-time winner Donna O'Sullivan of California placed third with 492 feet. The men's senior title went to Martin Kiely or Ireland with a longest cast of 168 feet and a total of 619 feet. South Korea's Jeon Lee was runner up with 599 feet total and Japan's Nubuo Nodera placed third with 539 feet. For the complete wrap up visit Fly Fishing Research for more information. Whitney with a rockin cast and below our three first place winners! Be sure to check back we will have more photos uploaded soon!